The next chapter in our Motorcycle Helmet Buying Guide series arrives today. In this guide, we discuss Everyday Riding helmets. These helmets come from an array of manufacturers and many of them offer great bang for the buck. The price range for these helmets is $80 to $250 and they generally fit a wide array of head shapes. They are an excellent option for a beginner rider or as a passenger helmet. Check out the video and look further down the page for more detailed information. SparX Helmets are a relatively new helmet manufacturer based out of Southern California. Their staple helmet, the SparX S07, offers a great deal of functionality for an entry-level everyday helmet. The SparX quest is to offer technologically innovative high-end features at a very affordable price point. 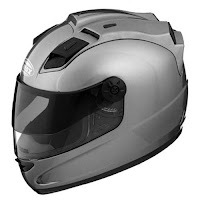 Every review of this helmet on RevZilla.com has been glowing with praise for the helmet's comfort, airflow, and level of quiet at highway speed. SparX helmets fit a medium oval head shape, and offer a five-year warranty with a crash replacement policy. 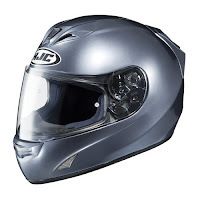 HJC Helmets have been a mainstay of the motorcycle industry for close to 40 years; they have been the top-selling helmet brand for the past ten years. Within our everyday helmet lineup, HJC has the most pronounced round oval shape, meant to fit a globe-shaped head. We feature the HJC FS-15 in this video which comes in right below the $200 price point and is an extremely popular helmet that we carry. It is lightweight with superb airflow and offers a great SilverCool wicking & washable interior. If you have a round-shaped head, this is an excellent option. 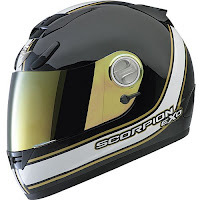 Similar to SparX, Scorpion Helmets are relatively new to the game. They broke into the market within the last five years and have received a warm reception as word spreads and their popularity grows. 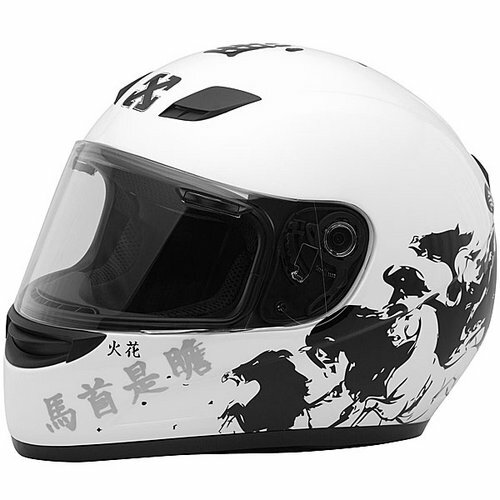 They offer a helmet for every riding style with their everyday riding lid being the Scorpion EXO-750. This helmet is the top of the heap for this bucket. A laundry list of features including an intermediate oval shape, venting for aggressive riding position, an AirFit pump system for a perfect fit, a wicking washable liner and a lightweight quiet shell all add up to the most feature-rich helmet in this price range. Bell Helmets muscled their way back into the motorcycle world this year after years of being out of the motorcycle lid game with three outstanding releases. The Bell Vortex is the only helmet in our everyday lineup that provides Snell 2010 Certified protection. 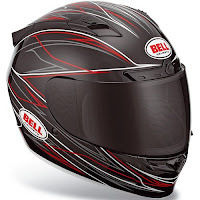 It shares many of the same features as their $550 Bell Star Race Helmet, but at a much lower price point. The polycarbonate alloy shell is lightweight, the Velocity Flow Ventilation system provides excellent airflow, and the liner is antimicrobial, removable and washable. And that's just the tip of the iceberg on the Vortex feature set. For the more aggressive sportbike crowd, the Icon Alliance helmet touts not only Icon's excellent attention to graphical detail but also extensive R&D and technological innovations. The new Alliance, an upgrade over the Alliance SSR, has many improvements over the previous iteration. The EPS liner has been redesigned to a more long oval shape for riders' comfort, ventilation channels have been repositioned and enlarged, additional vents have been added, and Icon's ProShield has been integrated. A massively upgraded helmet at a very reasonable price point, the Icon Alliance is a standout in this everyday riding group. At the other end of the spectrum, GMax helmets span from $70 thru $130 and offer excellent functionality with great comfort and fit. GMax is currently the fastest growing helmet manufacturer in the states, with helmets ranging from street to dirt and beyond. WebBikeWorld named the GMax GM68S Helmet (now the GMax GM68) the helmet of the year for 2007. These helmets provide great bang for the buck and operate well as an everyday riding helmet, a passenger helmet, or a helmet for a beginner rider. Be sure not to miss our upcoming helmet guides, including Premium & Super Premium Motorcycle Helmets. To check our full selection, visit Motorcycle Helmets at RevZilla.com.